The Health for Life Medical Centre has been providing exceptional preventative health care since 2006, including wellness assessments and on-going personalized & multi-dimensional lifestyle management plans. The Centre's program is designed for people over the age of 40 who wish to ensure that they are doing what they can to remain as healthy as possible. a lifestyle medicine approach to health, to provide you the most cutting-edge information to allow you to live the healthiest life possible. 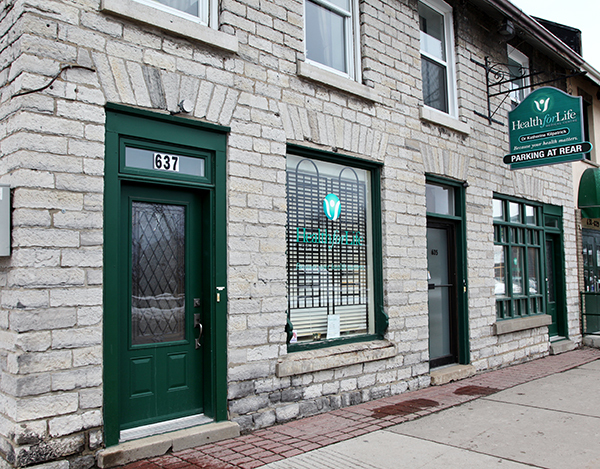 The clinic provides an exceptional preventative health and wellness service. The team's philosophy is that "information is power" when it comes to our health and that lifestyle is the most powerful medicine available to us. We have limited the number of clients that the Centre will enroll to approximately 200 people, in order to maintain a high level of flexibility and the ability to provide personalized and responsive care. Happy 2019 to our clients and friends! Our theme for 2019 is “Brain Health”. Throughout this year we will be working with our clients to achieve optimal health in all aspects of brain health - reducing the risk of brain trauma & desease and optimizing mood & performance. Just call to see any of our team to work on your brain health or any other health issues!